The Raleigh, Durham, Chapel Hill APA Pool League is owned by Don Ward, League Operator. He has owned and operated this franchise of the APA since June of 2017. The Raleigh, Durham, Chapel Hill APA boasts over 350 teams that compete weekly in 8-Ball, 9-Ball, Doubles, Masters, Ladies, and Juniors formats. There are over 2,400 local members and growing. We are the largest and most established pool league in the North Carolina Triangle covering Durham, Johnston, Lee, Orange, & Wake counties. 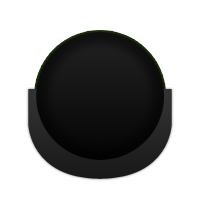 We offer pool players, of all ages and skill levels, across the area the opportunity participatein a well organized and professionally managed amateur pool league. 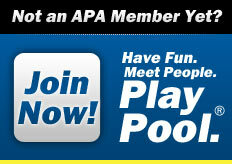 In addition to weekly league play, we also offer a variety of tournaments for our APA members. Tournaments include both singles, doubles, and team tournaments that range from local qualifying tournaments, to cash payout tournaments, and Vegas Qualifying tournaments. The Raleigh, Durham, Chapel Hill APA pays out over $150,000.00 annually in cash, prizes, and travel assistance! Add that to the over $1.5 Million paid out at National APA Tournaments and Events and you can see why the APA is undoubtedly #1. Terry Bell and Larry Hubbart maintain positions on the APA's Board of Directors, and strive to create continued interest and growth in the sport of pool. Renee Poehlman, (pictured right), has held the position of APA President since April of 1995. As President, she has total responsibility for overseeing the daily operations and future growth of the League. She was appointed to her position by former APA President Terry Bell, when he stepped down to assume a position on the Board Of Directors.